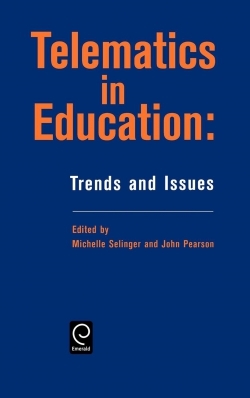 "Telematics in Education" provides readers with an exciting examination of the use of computer based communication technologies within education. Discussion ranges from whether new forms of teaching and learning involving telematics can replace existing methods, to how far collaborative learning can take place through telematics. 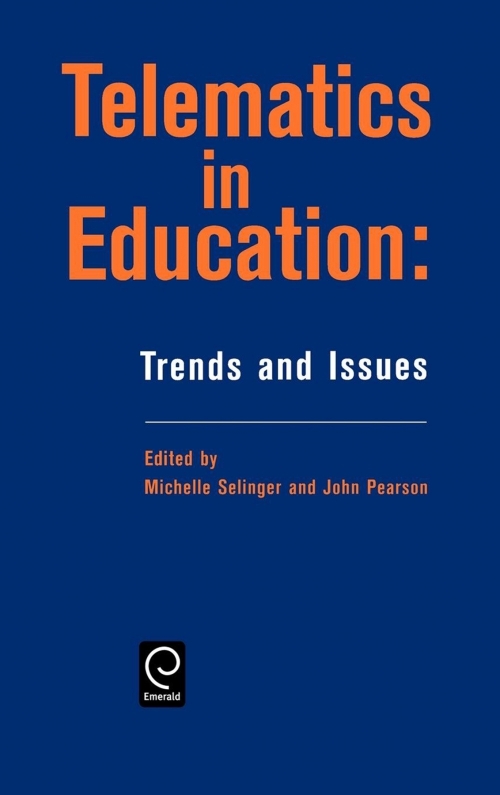 The authors consider the possible implications for psychological and organisational issues in education and how an increased use of telematics could radically alter the relationship between education and society. Notes on contributors. Forward. Preface. Problematics in telematics (J. Perkins). Linking different types of knowledge in professional education and training: the potential of electronic communication (J. Pearson, M. Selinger). Pedagogic roles and dynamics in telematics environments (C. McLoughlin, R. Oliver). The idealogical consequences of technology and education: the case for critical pedagogy (D. LeCourt). Pedagogical foundations of open learning environments (J. Pulkinnen). Techniques for analysing online interaction (H. Mellar, C. Howell-Richardson). Firmer links between telematics, multiculturalism and foreign language learning methodology (S. Tella). Different roles the Web can play (S. Gilbert). Implementing the Internet in schools: a case study of Northern Ireland (R. Austin). Urban cyber-space initiatives: applying social constructionism theory to design, pedagogy, technology and sustainability in urban centers (J. Bowman et al.). Desktop video conferencing: telematic learning (N. Wright, C. Cordeaux). The future of learning in virtual environments (F. Ruzic).